How can I achieve 180 KTAS in cruise? T-18 Flight Characteristics, Flight training etc. Put your progect progress pics here! Fuselage & Empennage talk here. Installation and maintenance of the clear stuff. Main and tail gear talk here. Pitch, Roll ... Electric or Manual. Thorp Specific AD's, safety concerns, buyer's information etc. EFIS, GPS, Nav-Coms, Straight Panel, Bent Panel, etc. Almost there ... what to put on top? 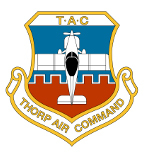 News from our official S-18 Supplier - Thorp Central. Let's talk about Oshkosh plans here! ... and Sun n Fun plans here! Gary Green will be hosting the Spring Gathering 2013!